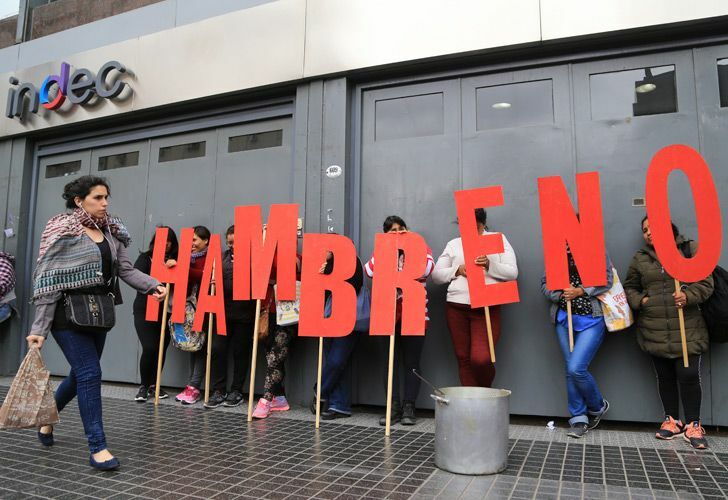 According to a new report, 69 percent of Argentines say they are more likely to take action, such as contact an elected official or participate in a demonstration, over issues related to poverty, while 65 percent declared they would for poor healthcare. Healthcare and poverty are the main factors inspiring political action from citizens in Argentina, a Pew Research Center report on international political engagement has revealed. Across the 14 nations surveyed, voting was shown to be the most common type of political participation. Relatively few people said they engaged in alternative forms of political and civic participation. A median of 78 percent of respondents overall said they had voted at least once in an election, while smaller shares reported engaging in other political activities. “High levels of political and civic participation increase the likelihood that the voices of ordinary citizens will be heard in important debates, and they confer a degree of legitimacy on democratic institutions,” the report's authors wrote. Thirty-three percent of people said they have attended a campaign speech at least once, while 27 percent say they have volunteered for a social or political organisation. Seventeen percent of respondents said they have posted comments on political issues online, while 14 percent had participated in an organised protest previously. Only 12 percent have donated money to a social or political organisation. While political disengagement is widely spread across the globe, according to the Pew report, some issues are more likely to light the touch paper and encourage political participation. According to the survey, 69 percent of Argentines say they are more likely to take action, such as contact an elected official or participate in a demonstration, over issues related to poverty, while 65 percent declared they would for poor healthcare. Argentina, as well as Brazil and Greece, registered higher participation rates due to compulsory voting legislation. High shares were also reported in both Indonesia and the Philippines – 91 percent each – while the smallest percentage of voters was found in Tunisia, at 62 percent. To better understand the public attitude toward civic engagement, Pew Research Center conducted face-to-face surveys in 14 countries encompassing a wide range of political systems: Argentina, Brazil, Greece, Hungary, Indonesia, Israel, Italy, Kenya, Mexico, Nigeria, the Philippines, Poland, South Africa and Tunisia. According to the research, some types of engagement are more common among young people, those with more education and those on the political left and social network users. In 10 of the nations polled, people aged 50 and older are more likely than 18-to 29-year-olds to say they have voted in at least one election. But while younger people are less likely to vote, they are more likely to participate online in political debate – among 12 of the 14 countries surveyed, people between 18 and 29 years old are more likely to post comments online about social and political issues than older adults. “Notable age gaps are also found on poor-quality schools, police misconduct, poverty, government corruption and poor healthcare,” the author's wrote. In some ways, Argentina tends to reverse the trend. Citizens with higher rates of online activity on political issues are aged between 30 and 49 years old. In particular, 29 percent of people between 30 and 49 years old have posted online comments on political issues. While in 10 countries, people aged 18 to 29 years old say they would take political action on the issue of discrimination and free speech – one of the top motivators in Nigeria, Italy and Poland – Argentina highlights less sensitiveness towards those issues compared to panel countries. The study was conducted in collaboration with the Center for Strategic and International Studies, a Washington, DC-based think tank.